Autumn is beginning, the weather is turning chill. Crickets move in to sing under my bed. But to whom will they be told? 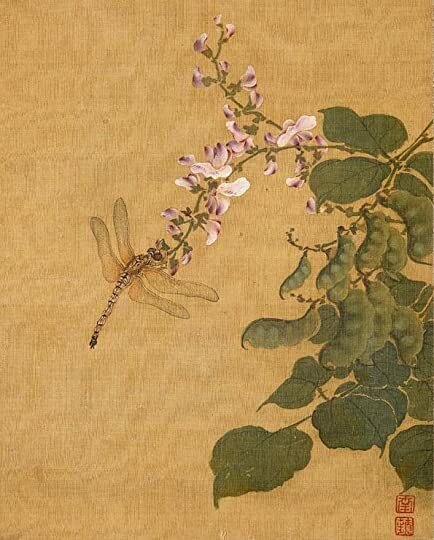 This is a short yet fine collection of Chinese art and poetry that, regardless of the period, gracefully conveys the profound bond between nature and the human perception of it; the relationship between the essence of every element that constitutes a landscape and human nature. The mountain moon shines on a cloudless sky. Deep in the night the wind rises among the pines. But the pine wind never ceases blowing. 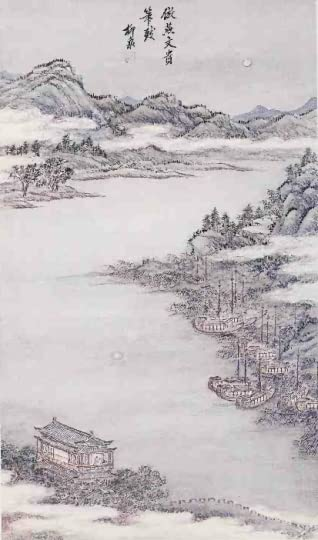 This book introduces us to the work of numerous Chinese poets who captured the spirit of every one of the elements mentioned above and transformed them into evocative poems capable of portraying the countless shades of our nature, which usually involves a sense of longing that only sees infinity. But can I forget their blue streams? The contemplation of an ethereal scenery as our own introspection evolves in complete harmony. The subtle and vehement nuances of our mood. The affection for solitude personified by the imposing mountains engulfed by diaphanous clouds. The need to hear another sound beyond the echo of our own voice that barely disrupts the splendor of a pond. Someone to tell how sublime the lake whitened by the moon is. Yes, all the essentials and principles that are part of us.. I have truly loved them. Why not have their craggy heights before me every day? This collection wasn’t the one I intended to read, but since I still can’t find the book I wanted, I gave this one a try. And I’m glad I did. 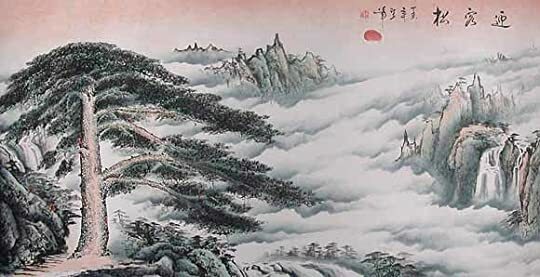 I found many voiceless poems interspersed with vocal pictures that transport the reader to the beautiful simplicity of nature, despite mountains made of concrete. A relaxing read to hold on to when one has to return to civilization. …haze, mist, and the haunting spirits of the mountains are what human nature seeks, and yet can rarely find. ** Update Jan 26, 17: I found the book I was looking for.